Veles and Perun are two deities found in the religion of the Slavs prior to the coming of Christianity. The Pre-Christian Slavs were polytheists, and worshipped a pantheon of deities, just like the ancient Greeks and Romans. Compared to the Greeks and Romans, however, the deities in the religion of the pre-Christian Slavs are generally less well-known. Some Slavic deities (apart from Veles and Perun) include Dabog (regarded as the progenitor of the Slavs), Stribog (a god whose grandchildren are said to be all the winds) and Morana (the goddess of death and winter). Amongst these gods, only Veles and Perun were commonly respected and worshipped by all the Slavic tribes. Veles (spelt also as Volos) was originally a forest god who appeared exclusively as a bear, although he is thought to be capable of shape shifting into other types of animals as well. One possible explanation for the representation of Veles as a bear is that this animal was regarded as the king of the animals. 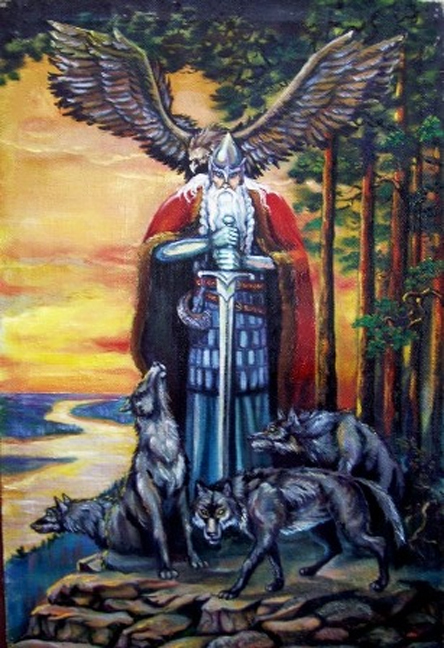 However, In the belief system of the southern Slavs Veles was regarded as the ‘Lord of All Wolfs’, and was seen as a wolf god. Apart from wild animals, Veles is also regarded as a protector of domesticated animals, and is specifically associated with cattle. Veles was later depicted as a bull, probably as a result of the influence of Christianity. When the new religion really caught on, Veles underwent another ‘metamorphosis’, this time into a saint by the name of Vlasiy (Blaise), and portrayed as an old shepherd guiding his sheep. Is The Book of Veles a great Slavic text or a charlatan’s forgery? Veles is also associated with the Underworld, and, at some point of time, was associated with Zaltys, a great serpent curled at the base of the world tree. It is in this role that Veles comes into contact with Perun. According to one myth, Veles steals Perun’s cattle, wife, or children. This caused the enraged Perun to chase the serpent around the earth. Perun would attempt to strike Veles from the sky with his lightning bolts, whilst Veles would hide under or behind something. It was believed that when lightning struck a particular place, it was because Veles had been hiding there. In the end, Perun would either succeed in killing Veles (who would later come back to life) or be able to chase him back to the base of the world tree. One interpretation of this story is that this is a representation of the struggle between order (Perun) and chaos (Veles). Order eventually prevails, though chaos will continually rise to challenge it. With the arrival of Christianity, the characters of this cosmic battle were replaced by the god of Christianity and the Devil. From the story of the struggle between Veles and Perun, the latter deity may be described as a god of storms, thunder and lightning, similar to the Greek deity Zeus or the Norse god Thor. Between Zeus and Thor, Perun is more like the latter, in the sense that he was also, generally speaking, the head of the Slavic pantheon. Nonetheless, not all of the Slavs regarded Perun as the leader of the gods. For instance, the supreme god of the Serbs was Dabog, rather than Perun. 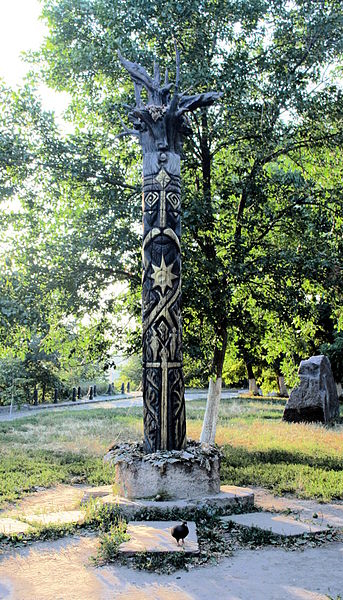 In terms of appearance, Perun is commonly depicted as a tall and muscular man with a long beard. He also rides a chariot pulled by a bull or a he-goat. As a warrior god, Perun is often depicted with weapons, either a bow from which he fires his lightning bolts, a large axe, or a hammer. 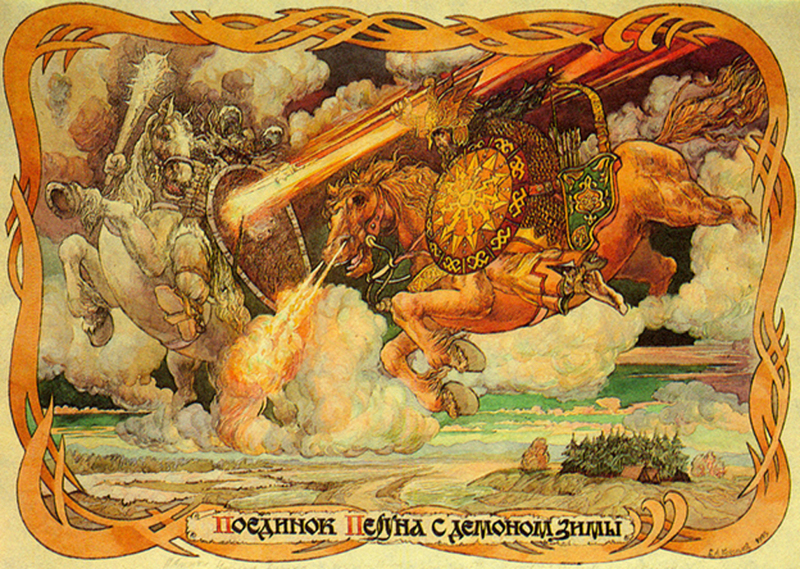 Apart from his battles with Veles, there are a number of other stories associated with Perun. In general these stories speak of some great challenge faced by Perun, and the way he overcame it. For example, in one of these tales, Perun had been taken to the Underworld as a baby. Whilst his family searched for him, Perun remained asleep, and grew into a man during his slumber. When he finally woke up, Perun had to fight the creatures of the Underworld, and overcome numerous challenges before he could return to his heavenly home. Thank you for this article, it was very informative and helpful in my research. I am a fiction writer working on a horror novel revolving around Veles wreaking havoc in modern times; getting the lore right is very important, and I appreciate your writing!